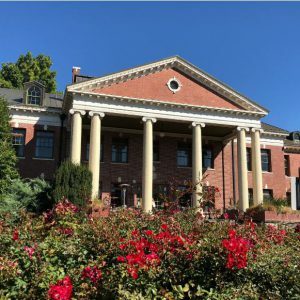 310 NE Evans St., McMinnville, Ore. Receive a special rate on your third night when adding Thursday to your UFO package reservation. 3505 Pacific Ave., Forest Grove, Ore.
Reservations by phone: (503) 992-9533 or reserve online. 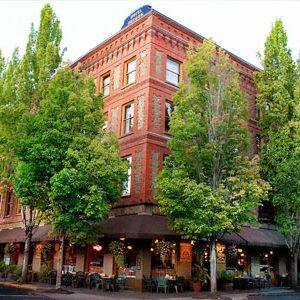 Just 25 miles north of McMinnville, this former Masonic & Eastern Star property is peppered with unique rooms, restaurants, a spa and free live music and events. You'll enjoy local and seasonal pub fare in the two restaurants to fuel your next adventure. Pat's Corner offers seasonal outdoor seating on the lawn. 2520 SE Stratus Ave., McMinnville, Ore.
2065 SW Hwy 99W, McMinnville, Ore.
381 NE Hwy 99W, McMinnville, Ore.
2535 NE Cumulus Ave., McMinnville, Ore.
© 2018 McMenamin's UFO Festival. All Rights Reserved.